If you think Forest Dunes is in the middle of nowhere, you're right, and it's not totally a bad thing. 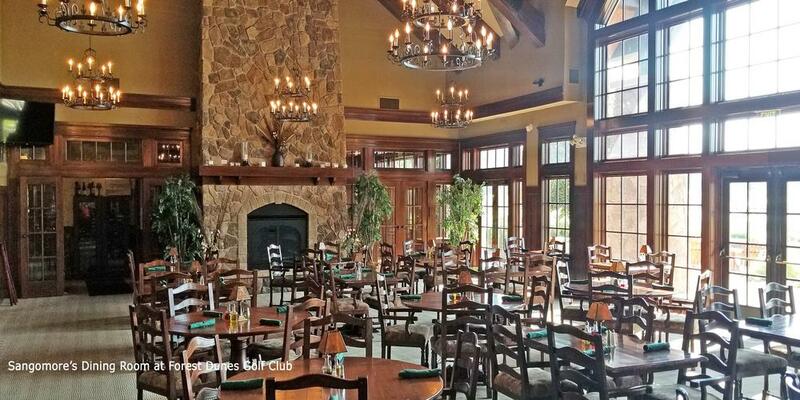 What you'll find is small town hospitality, exceptional lodging, exquisite dining and high-quality golf facilities. No massage tables, no whirlpool baths or spa services, just 54 memorable golf holes. When you stay on property, you are literally no more than 50 yards from the first tee. This is something that every serious golfer should experience at least once. 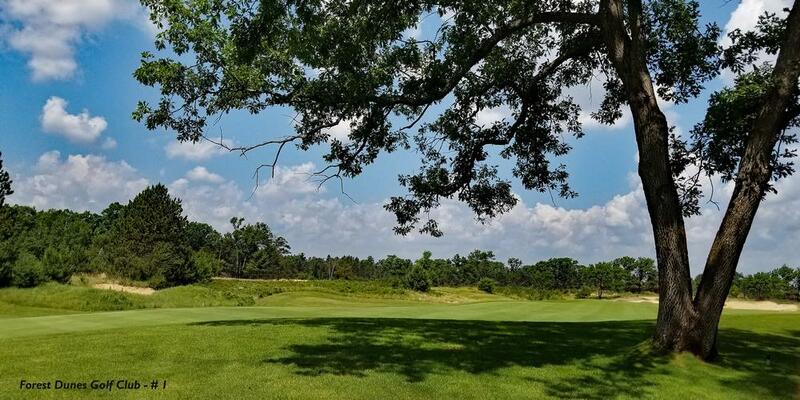 Forest Dunes is home to three fabulous golf courses - on two layouts: The Forest Dunes Course and the Loop, which is played clockwise the first day and counterclockwise the next. 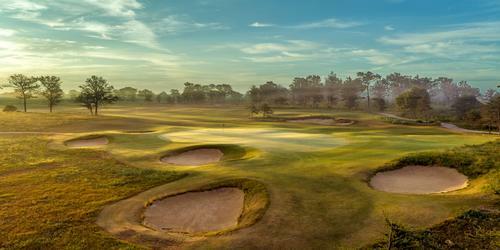 The Forest Dunes Course was designed by former PGA TOUR champion turned golf course architect Tom Weiskopf. Forest Dunes is ranked annually among the nation's top 25 by all the major golf publications and has garnered numerous accolades from such top publications as Golf Digest, Golfweek, Golf Magazine and The Golf Channel's Matt Ginella, who declared it #10 on his list of Best Courses You Can Play in the US. 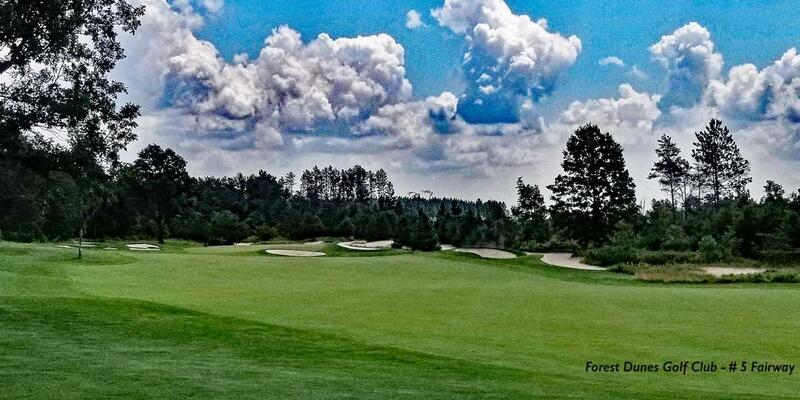 Shortly after it opened, Forest Dunes was named by Golf Digest as the Best New Upscale Golf Course in America. Weiskopf himself has placed it in his all-time top three of courses he's created. Forest Dunes features 4 sets of tees; the scorecard offers a fifth set that combines tees II and III. From the tips, the course measures a challenging 7,116 yards, with a course rating of 75.2 and a slope of 146. Tee II is also an epic battle at 6,550 (72.3/139) while tee II mellows things out a bit at 5,888 (69.2/127), The Combo Tees proved to be just what the doctor ordered at 5,330 yards (71.3/135. Ladies will find Forest Dunes a challenge from Tee IV (4,993/ 69.9/136). As always, choose the tees that fit your game and you'll have a lot of fun. The course features several elements that Weiskopf is known for: A split fairway, a drivable par 4 and a 19th hole - in case you need to settle a bet! It's a short, 117-yard par 3 that plays over water to a green with a bunker in the middle of the green, much like the 6th hole at Riviera Country Club in California. Forest Dunes is truly the dichotomy for which it is named. 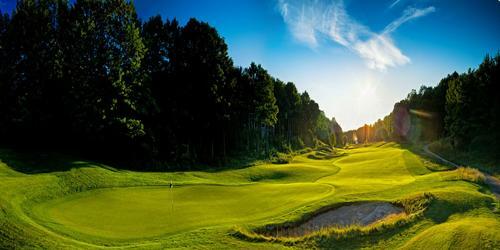 The front nine consists of parkland-style holes wandering with purpose through strands Northern Michigan's signature pine forests, made up of century-old red and jack pines. Sandy waste areas and elaborate bunkering systems help to form the outline of each hole and keep things interesting along the way. This would be The Forest. The back nine opens up and is highlighted by rugged native sand dune areas with thick underbrush crossing and bordering several fairways and greens. Water comes into play on three holes on the back nine, four if you count 19. On the front, you don't see any water until the 8th hole. This would be The Dunes. 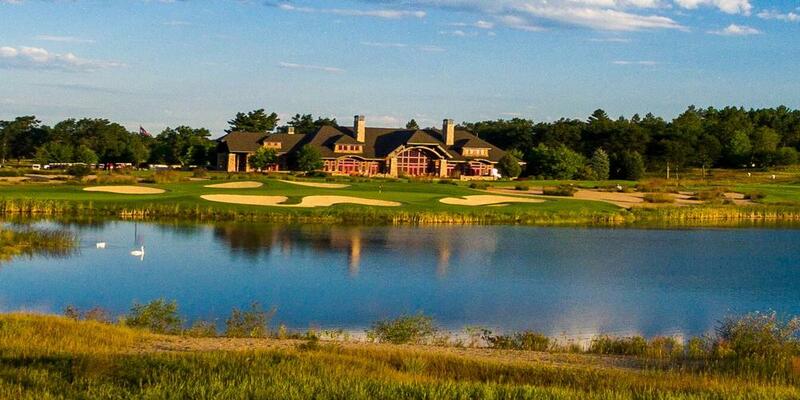 Before your round, take advantage of Forest Dunes' incredible practice facility, included with your paid greens fee. There's a full-length grass driving range where you can hit every club in your bag, a short game area complete with a grass bunker and a large practice putting green. Up above the practice area is a two-acre, 18 hole putting course. 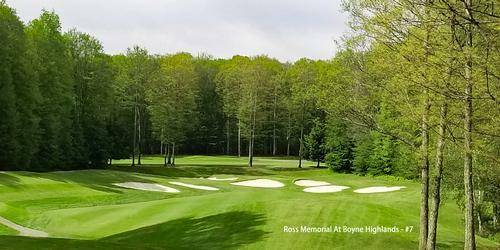 Most Memorable Hole: Number 19: Par 3, 117 yards. Just in case you haven't had your fill quite yet, Weiskopf gives you one final opportunity; it's also a great place to settle bets - or start a new one. It's a short par 3 that plays slightly downhill over sand dunes and water to a large green with a pot bunker in the middle, reminiscent of the sixth hole at Riviera Country Club. Find the green, make the putt, collect some dough. Easy! Favorite Par 4: Number 17, 278 yards (II, Combo Tees). As I said earlier, a Weiskopf trademark is a short, drivable par-four hole, and Number 17 might be one of the best he has done. In order to reach the green off the tee, you need to fly a lengthy sand dune, filled with fescue grasses, rocks and other obstructions. Hit it too far left and there's more of the same over there. The other option is to hit it about 210 yards, then play a short pitch shot in to the green with hopes of getting it close. It is risk/reward at its finest! Favorite Par 5: Number 7, 499 yards (II, Combo Tees). Number 7 is reachable in two, particularly if you can hit a draw shot off the tee. In any event, it's best to play down the right side to open up the hole. The landing area for your layup shots is narrow as some trees on the left begin to infringe. The green is surrounded by sand except in front, making way for a bump and run shot and leaving no reason not to try and go for it in two. Interestingly enough, the bunker to the right has a tree and some grass in the middle of it. After you play out the hole, turn and admire the beauty of this hole. 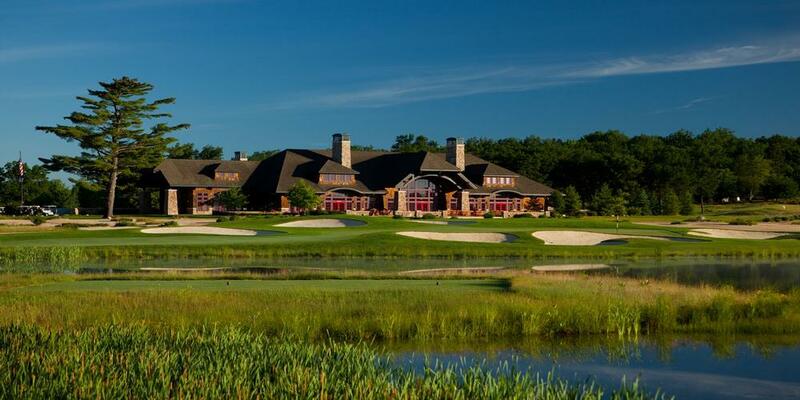 Forest Dunes features an impressive 15,000 square foot clubhouse that includes a well-stocked pro shop, beautifully appointed locker rooms with showers for both men and women and Sagamore's Restaurant, with both formal and private dining rooms. The food is outstanding with all three meals being served, For breakfast, you can't go wrong with the Breakfast Burrito, two scrambled eggs with onions, sausage and peppers wrapped in a warm flour tortilla. It's quite filling. Vice President Mark Lutz's Smoked Chili is a big hit at both lunch and dinner, with smoked tenderloin, onions, peppers, red beans and just the right mix of chili spices. Steaks and burgers are also very popular at Sagamore's. 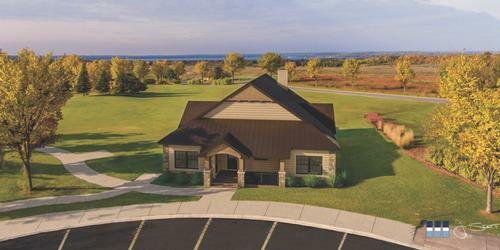 Need more room, consider one of Forest Dunes' cottages, located throughout the property. These luxury homes range between three and five bedrooms and can sleep between four and eight individuals in their own beds. Each cottage is furnished with linens, towels, dishes and cookware. Last Word: As you make your way around the course, you can't help but admire the beauty of the sculpted tee boxes many of which are surrounded by wild fescue rough, exhibiting traits of ocean links layout - minus the water! Weiskopf has done a marvelous job of working this design into the natural surroundings; rarely does a hole look or feel out of place. 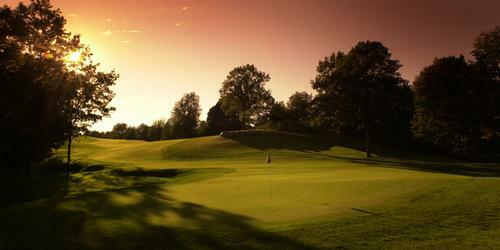 What The Loop offers in a rugged Scottish feel, Forest Dunes offers golfers a beautiful nature setting. As resort course go, the conditioning at Forest Dunes is second to none. Aesthetically, Forest Dunes is a joy to behold. Exquisitely designed white sand bunkers accentuate the fairways and green complexes, and the sparse use of water is a refreshing change of pace from many courses. For the most part, there is plenty of room around the greens; the areas in front are often accessible with a bump and run shot. Miss to either side of the green and you'll have to rely on an excellent short game, especially with a lob wedge. A good sand game is also something that will prove valuable as it's virtually impossible to get around this layout with experiencing it at least once. For more information or to book your next tee time, visit their website at www.forstdunesgolf.com or give them a call at (989) 275-0700.